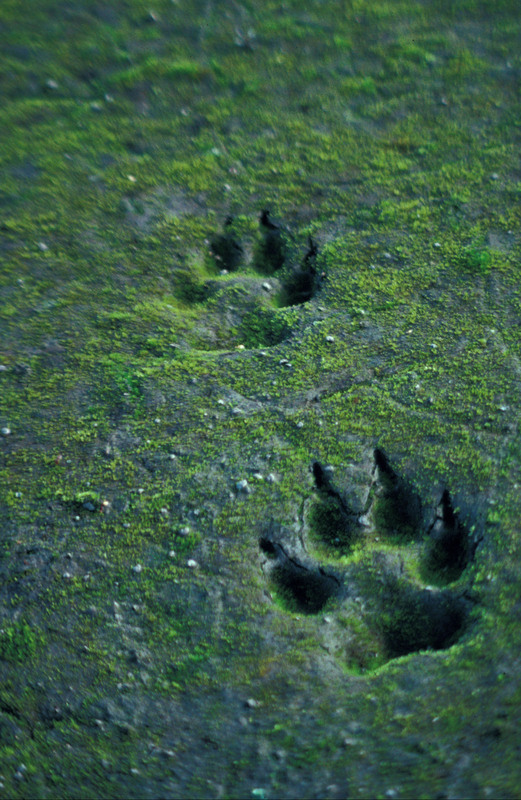 Throughout the history of shamanism across the world it is often found that those that walked this pathway whether by lineage or rite of passage tended to walk alone and were often found on the fringe of the communities only being seen when needed. They may well have enjoyed the company of beloveds and lovers along the way however in general the lifestyle was mostly that of a lone wolf and those that were intimate with them knew this and accepted this. Much like witches (wise people) they were not always seen as an active social member of the community but they were the most respected for their guidance when imbalances or challenges within the community arose. Today we live in different times. That’s not to say in some countries like America, Mongolia, Siberia, Africa, South America, Australia and parts of Asia, this does not still occur but it’s becoming increasingly rare. Still the walk of this particular type of pathway even in its more contemporary form is more often than not much akin to the journey of lone wolf in its teaching. 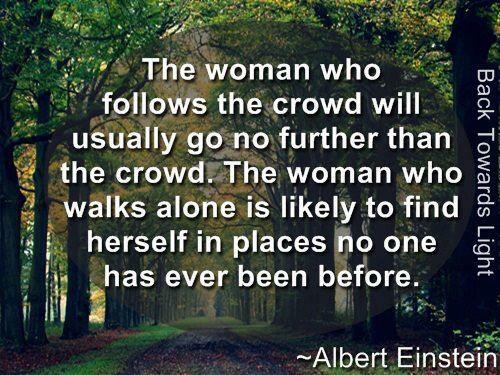 Women who walk this path tend to find it somewhat isolating and at times very lonely. It’s important to understand the path they have taken is not so much a relationship with another human but a deeper relationship to spirit. That is not to say that your life is like a nun or who is married to god. Not at all! There are no rules to say you can’t enjoy a wonderful relationship with another, it’s just that on this particular path you would need a partner that is strong enough in themselves to allow you this inner journey work in order to be of service to others and enough space and time to work with it. At times it can be compared to living with a great poet, musician, artist or writer. As the burning priority is the passion for their work that flows through them and at times is unstoppable and in need of attention. There is a lot of energy to handle for the lone wolf on the shamanic trail, let alone one that lives intimately with them and shares their bed each night. Those that feel deeply drawn to the shaman’s path are learning how to be the bridge between two worlds. They are natural transformers of density and there is a great deal of the collective consciousness that is being sifted through especially in sleep where a lot of the multidimensional work is done. Those that are practicing with plant medicine need to take extra care to assimilate the learning and do deep cleansing of their many layered Auric field for the sake of those that are close to them. If you don’t take responsibility for your own Auric debris, your partner and or children will wear it and it will take its toll on them and your relationship. I speak from experience both as one who walks the path and one who spent ten years in relationship with a practicing ethno botanical celtic shaman. Wolves have been given a very bad reputation as being vicious and a creature to be feared, to the point that their numbers have decreased so drastically that groups are now trying to breed them back into the wild. This fear is unfounded. If humanity destroys their habitat then they are likely to venture into the villages to hunt for food. Like bears, fox’s etc. Those examples have been put up as the reasons for the hunting and killing. Shamans were also judged and feared but they too have often been misunderstood. Charleton in wolf’s clothing have given the rest a bad name. They may wear the costume of the teacher, but they do not practice the path with integrity. Some of them have used the glamour coat as a way to attract lovers for their own hunger. When you choose a path for yourself, whether that be just for a retreat, in your daily inner journeys, on your own path, on a vision quest, a healing quest or for the rest of your life, you have the opportunity to teach yourself inner strength, resilience, freedom, self-reliance and independence and your own sense of inner sovereignty. You learn to think for yourself and trust your intuition without being so influenced or swayed by the petty snarling’s of the pack. Every declared ‘Shaman’ I have met has been a lone wolf. They indeed have had lovers and deep karmic kingships, but in general they have been on a far deeper relationship with spirit than they have been with their lover, partner or muse. That’s not to say they are not loving, caring, thoughtful or responsible but those who are intimate with them need to be strong of spirit to walk along side the lone wolf and to understand that at times this wolf will deliberately take a trail that they are not welcome to follow. It’s not neglect, its self-preservation. I’m not writing this to freak anyone out and tell you that you will be a lone wolf. I am writing this to help you to view this path from a wider perspective. 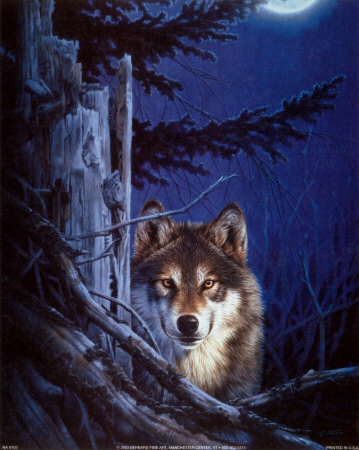 Wolf qualities: Is the true spirit of the free and unspoilt wilderness, a wild spirit. Understand that specific territories are sacred. Do not fight unnecessarily, teaches you to know who you are and to develop strength, confidence and surety in that you do not have to demonstrate and prove yourself to all. Teaches you how to use ritual to establish order and harmony within your own life. Helps to understand that true freedom requires discipline, learning to trust your own insights, hearing sensitivity, great discrimination via its powerful sense of smell, teaches that you are the governor of your life, you create it and direct it. 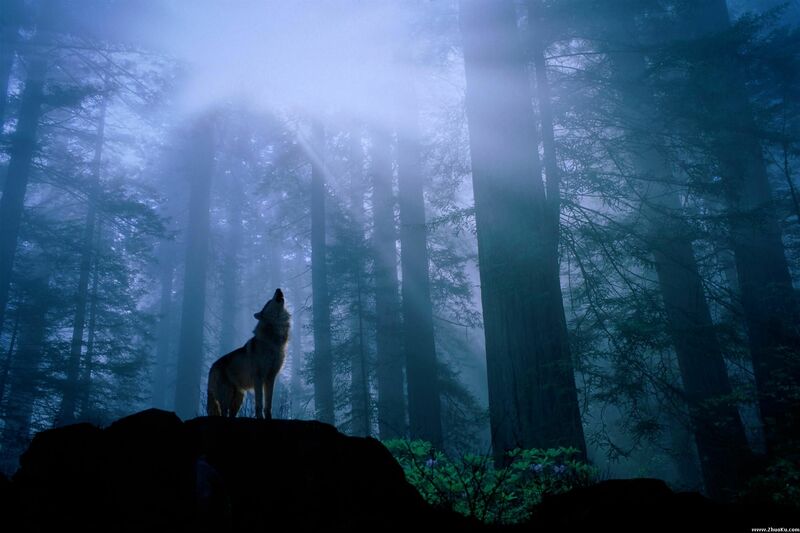 loyal, The wolf will guard you as it teaches you, sometimes strongly, sometimes gently but always with love. Sourced from Ted Andrews. In today’s society many fear walking alone and not being part of a pack or belonging to someone. In most of us, there is a need to belong to something greater than ourselves, and that is only natural. We want to thrive rather than survive. 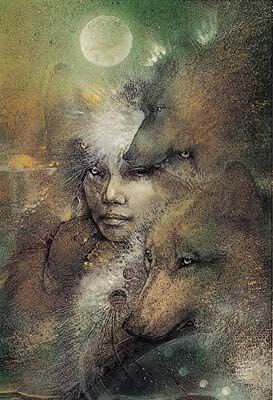 However the wolf walking the shamans pathway feels the sense of belonging primarily to mother earth, to spirit, to the elements, the animals spirits, inner worlds…… and ‘Great mystery’ which within it holds all of the multidimensional worlds which we can travel in. ‘Do not go where the path may lead. It sounds like me you are describing. I follow the ContemporaryShaman on Facebook but this post particularly spoke to me today and so I share it with you my fellow bloggers! thanks Odette, wonderful words of wisdom. Thanks for that, Odette. Loved that last paragraph. I’ve never seen such a clearly stated yet heartfelt summary of what it is like to be on that path 🙂 I’ve been on the path of the Lone Wolf for many years and my mother saw this and linked me to it- Im glad she did. Right on point and welcome reaffirmation of who we are when resolve gets a little shaky.Thanks. I couldn’t have said it myself. I fell in love with the lone wolf idea when I was a teenager reading Hermann Hesse. But it is a fantasy idea for me. I know I am a wandering misfit but I feel more like Tristram Shandy than Steppenwolf! I don’t know what to say. Dead on. Dead on. Epicness. Me precisely . Infinite gratitude. My soul is a wolf from Sirius. Thank you for this article, it puts my heart at ease. I am going to walk the shamanic path in October and its been a couple of months now that Ive been pretty much isolating myself from the world and even if I don’t, it does in return I guess the universe wants me to spend more time “alone” and to adapt to that phase coming really soon. May the spirit of the wolf embrace you. This is the most interesting article I’ve read all year, thank you. I googled shamans and loneliness and I’m really glad I read this blog.. I’ve been getting deeper into my studies and practice of vibrating higher and shamanism techniques, also herbal healing.. sometimes I find myself sad that I don’t seem to stick with people, mainly love interests.. This article reminded me of myself and thank you for helping me reach my inner lone wolf and to remember my goals at large and not petty insecurities about myself. Truely understood everything,really believe in this ..great words …i feel new after reading.